Chenille stems, craft stems and pipe cleaners, whatever you call them we call them fun. 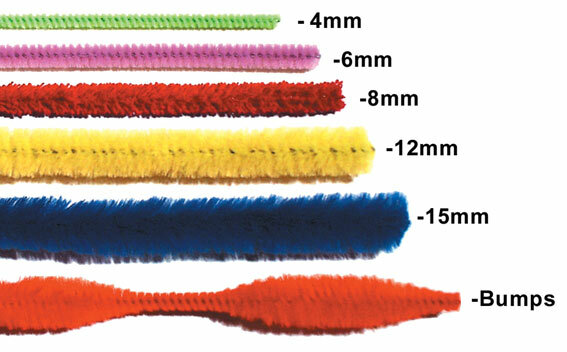 3mm, 4mm, 6mm, 8mm, 9mm, 12mm, jumbo 15mm, colossal 30mm to bump chenille stems. Click the underlined size sub-category in box below right to go to that size stems for sale .